John Leguizamo gets the uncomfortable feeling that he is the object of their laughter. Families at Christmastime can be very complicated indeed. We all bring our joy to the table, but also our problems. The holidays can be a time of great stress, but also of great catharsis – regardless of what the background might be. Eduardo Rodriguez (Molina) is overjoyed that his children are coming home for the holidays. Eduardo owns a bodega in the Humboldt Park section of Chicago and is proudly Puerto Rican, as is his wife Anna (Pena). Of course, each of his children has issues of their own – would it be a holiday movie if they didn’t? Jesse (Rodriguez) is recently home from Iraq and is wounded in ways that aren’t necessarily visible on the surface. His girlfriend (Diaz) has moved on, although he seems stuck in some odd half-life. His father is very eager to hand over the bodega to his son, which Jesse is not so eager to do. He feels a little trapped and lost and doesn’t know quite where to march from here. Mauricio (Leguizamo) has married Sarah (Messing), a Jewish girl who is constantly butting heads with Anna, who wants nothing more than to have a grandchild and Sarah is pretty much the only shot at the moment. Mauricio is concerned that his wife may be more in love with her high-powered career than with him. Finally there’s Roxanna (Ferlito) who has been pursuing an acting career in Hollywood with considerably less success than she has been letting on to her family. She has a thing for neighborhood friend Ozzy (Hernandez) and he has one for her but circumstances seem to conspire to keep them apart. All these issues become so much less important when Anna announces during Christmas Eve dinner that she is leaving Eddy because he has been cheating on her. Despite his protestations to the contrary, she knows he is talking regularly with a woman on his cell phone. That must mean he’s cheating, right? There’s also the most stubborn old tree in the history of cinema in their front yard that defies every attempt to pull it from the yard where it blocks Anna’s view as well as a vendetta that Ozzy has for the guy who murdered his brother that he intends to bring to a climax that very night. Not exactly the Christmas spirit, right? If you like movies like The Family Stone in which an extended family gathers for the holidays to hash out their problems and draw closer together in the process, you’ll love this. Having it be in a Puerto Rican family is like icing on the cake. The Puerto Rican culture has been long neglected by Hollywood, so it’s refreshing to see it addressed here. While I wasn’t familiar with all the specific traditions that are mentioned or displayed here, this isn’t so much a learning experience as it is an opportunity to spend some time with a specific family. In many ways, their ethnicity is immaterial; it’s about how they pull together when they need to. From that standpoint, they could be any family, anywhere. There are some fine actors in this ensemble, notably Molina, Leguizamo, Messing and Pena, but Hernandez, Ferlito and Rodriguez are also impressive. Like many ensemble movies of this type, each of these actors gets only a limited amount of screen time so none really stand out (with the exception of Molina) but each of them make the best of the time they have. There won’t be any revelations you don’t see coming or any resolutions that are unexpected. That’s all right. When it comes to holiday movies, success is measured by the warmth in the heart that is generated rather than the insights that are revealed. By that yardstick, Nothing Like the Holidays is a solid success. Holiday movies fulfill a specific function which is to put people in the holiday spirit and this does that quite nicely. If it’s an analysis of the Puerto Rican experience, this isn’t really it but if you’re looking for a cup of eggnog, there’s plenty to go around here. WHY RENT THIS: Heartwarming in the tradition of family ensemble holiday movies like Home for the Holidays, This Christmas and The Family Stone. WHY RENT SOMETHING ELSE: The script relies too much on holiday clichés and forced family dynamics. FAMILY VALUES: Some of the dialogue references drug usage and sexual issues; however, most of the movie is pretty benign for families. TRIVIAL PURSUIT: While Alfred Molina and Elizabeth Pena play the parents of John Leguizamo, in reality they are only nine and three years older than he is, respectively. NOTABLE DVD EXTRAS: This was apparently quite a fun movie to make, as the Blooper reel and cast reunion featurette show. BOX OFFICE PERFORMANCE: $7.5M on an unreported production budget; the movie might just have made a little money. 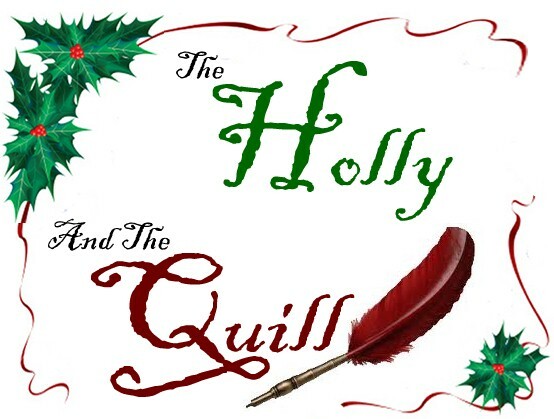 TOMORROW: The Holly and The Quill continues!